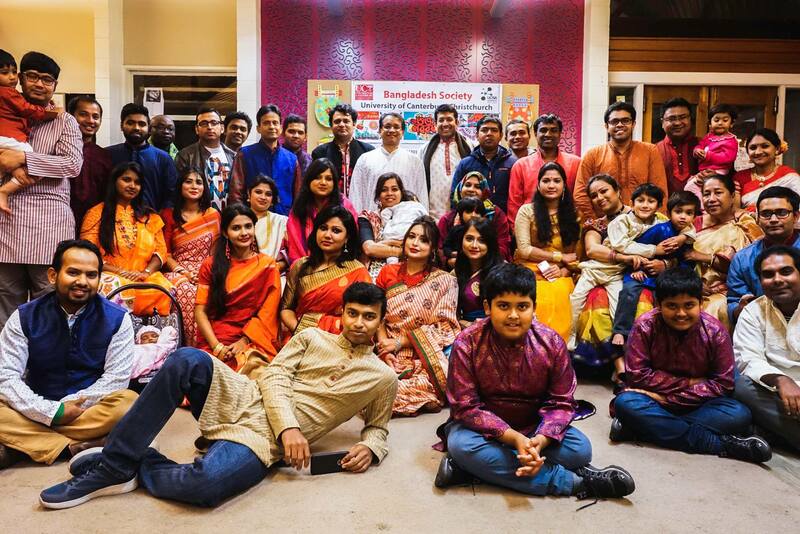 The Bangladesh Society, a Student Association of Bangladeshi students at UC, celebrated Pohela Boishak 1425 in a befitting way on the campus on 14 April. The Bangladesh Society celebrated the day by organizing a cultural programme that was designed and moderated by Mr. Mrinmoy Maitra. The Pohela Boishak programme commenced by a brief opening speech from Bangladesh Society President, Dr. Mesbahuddin Chowdhury. After which, a spectacular dance and a melodious duet were performed by Sharnali Atashi Tisi and MD Ayrangzeb and Monali Alam respectively. These two performances were followed by an insightful speech from Nizar Alam on “The Bengali Calendar and its relationship with our life”. After the speech, the programme was again focused on two exciting performances – the first was indigenous songs from Sharnali Atashi Tisi and the other was a newsreader performance in Chittagong local language by S.M. Akramul Kabir and Nashrah Nahreen. The first segment also included a poem read by child artist Toppa, a Lalon song by Roton Borman and a video documentary on the overall performance by the Bangladesh Society since its formation in August 2017. The second part of the programme was a Boishakhi dinner. The Bangladesh Society was very grateful to Nashrah Nahreen, Sharnali Atashi Tisi, Monali Alam, Serajis Salekeen, Pallabi Gosh, Jannatul Ferdous Bakul, Chaity Ahmad, Mahmuda Akhter Zinia, Sabrina Afrin and Rakhi Roy for their contributions to prepare the food. The final part of the programme began with a thought-provoking speech from S.M. Akramul Kabir focusing on “Pohela Boishakh in Bangali Ethnicity and my viewpoint”. This speech was followed by three wonderful performances – a song from child artist Toppa, a poem recitation from Mrinmoy Maitra and a popular song in Chittagong local language from Sharnali Atashi Tisi and Isfaqur R. Siddiqui. After these performances, a comic letter in Comilla local language was read by Shubrata which was hilarious and applauded by the audience. A melodious folk song (Vawaiya) was later performed by Monali Alam. The programme was concluded by a quiz competition and fashion show. 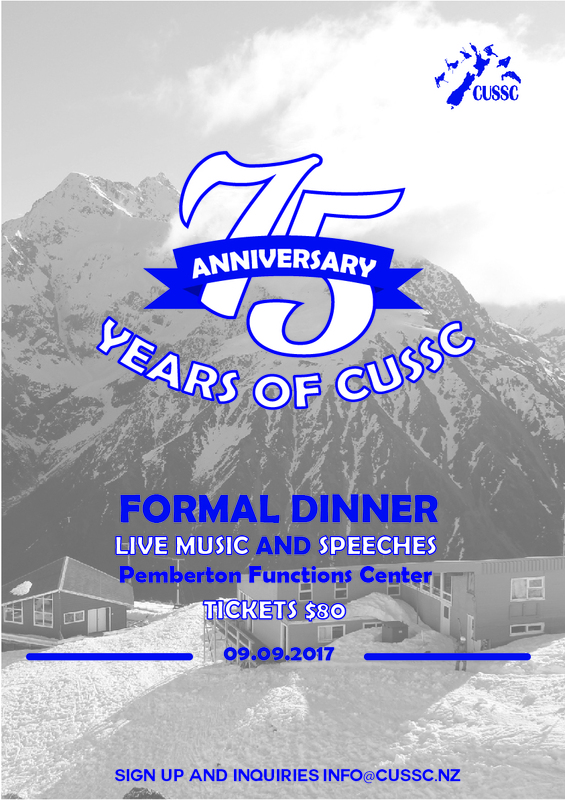 Canterbury University Snow Sports Club (CUSSC) is celebrating 75 years with a formal dinner in Pemberton on the Saturday 9 September 2017. We would love to have as many former members of CUSSC (Formerly CU Ski Club) attend this event as possible, to share the history of the club and celebrate this milestone. Please register your interest to receive emails when tickets are on sale. Did you know that Christchurch is hosting the opening of the ICC Cricket World Cup for 2015? You’ll want to be there, this Thursday the 12th of February from 6.30-10.30pm in North Hagley Park, when the celebrations kick off! This is a free community concert, and entertainment extravaganza you won’t want to miss! Chill out to music from: Shapeshifter, Hayley Westenra, Sol3Mio, Ginny Blackmore, and other performers. Watch International cultural groups and Kapa Haka performances.